been running Tree Dimension for over 20 years. Mike and his team work throughout Mid Wales, Powys and the Shropshire Borders. 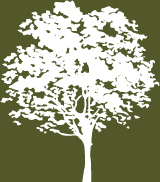 They look forward to helping you make the most of your trees and woodlands. 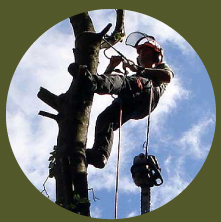 For both domestic and commercial customers, Tree Dimension can recommend and undertake the full range of arboricultural services to improve the health, safety and beauty of your trees. Our operatives are skilled and experienced in specialised techniques and work to the latest British Standards. We are fully insured with £5,000,000 Public Liability insurance. 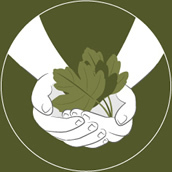 Tree Dimension will arrange a convenient time to discuss your trees with you, and visit if necessary. We will provide a no obligation estimate for any work, this service is free of charge. (a) “The Contractor” shall mean Tree Dimension Ltd (Registered in England & Wales Company Number 7564262) and all staff directly or indirectly employed by Tree Dimension Ltd.
(b) “The Client” shall mean the person or organisation for whom the Contractor agrees to carry out works and/or supply materials. (c) “Quotation” or “Quote” shall mean written specification of the works as discussed on site/by telephone/by email/in person and sent to the client. (d) “Works” shall mean tree surgery, surveys, arboricultural advice and work, liaison with local authorities, and any other work indicated in a written quotation. (e) “Contract” shall mean the agreement between Tree Dimension Ltd and a client in which the client requires Tree Dimension Ltd to undertake certain specified works and Tree Dimension Ltd agrees to do this for a given remuneration. The quotation/estimate is valid for 90 days and takes into account any ‘value’, monetary or otherwise, the arisings may have unless stated otherwise. All estimates are without obligation. the quotation will be revised accordingly, either electronically in advance or hand written on the day of work, with agreed amendments signed by the contractor and the client. Quotations for felling are based on the assumption of trees being free from metal, stone or other hidden obstructions. In the event of a tree being impossible to fell in the normal way, Tree Dimension Ltd reserves the right to re-quote accordingly. ‘Notice of the Right to Cancel’ – the client has 7 days to cancel the contract (in writing) from the acceptance date. If less than 24 hours notice of cancellation of scheduled works is given, a minimum call out charge of £180.00 + VAT will be levied. All works will be in accordance with the current British Standard 3998:2010 ‘Tree Work Recommendations’ where possible unless specified otherwise. Dimensions specified are approximate and, wherever possible, will be to the nearest appropriate pruning point. Stump-grinding will be to a depth of 250/300mm below the immediately adjacent ground level and will include the removal of the stump and buttress roots but will not include lateral roots or stump chippings unless otherwise specified. The client will advise the contractor of any underground services in the vicinity of the stump prior to starting the job. All arisings (inc. twigs / branches / woodchips / logs / trunks / foliage etc) will be removed from site and become the property of the contractor unless specifically stated otherwise in the quotation. Alternative arrangements for the arisings can be agreed and included in the estimate/quotation, e.g. chipping on site, cut in to logs of a specified size etc. Intellectual Property and Copyright: Unless otherwise agreed in writing, all intellectual property rights arising out of the provision of Consultancy Services shall belong to the consultant. Subject to the consultant having been paid all sums due, the consultant shall grant to the client a non-exclusive non-transferable royalty free licence to use the intellectual property for any purpose. All rights in Arboriculture Reports compiled by Tree Dimension Ltd are reserved, and Reports remain copyright of Tree Dimension Ltd 2014. 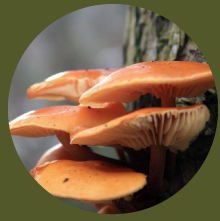 The contractor will also consider whether a Felling Licence is required from the Forestry Commission or if any other permissions / consultations are required, i.e. Natural England / Environment Agency. NB Please note, if the contractor undertakes the necessary LPA application/notification an appropriate administrative charge of £140 or other agreed amount will be incurred. Similarly a charge may be incurred for obtainment of a Felling licence. Where works are proposed to third party trees, i.e. ‘neighbours trees’, the contractor will require written confirmation from the tree owner (‘the neighbours’) that the works are agreed and where necessary, that access is permitted. If works only apply to overhanging branches that can be pruned from within the client’s property then permission is not required but the neighbour should be advised where practicable. The site will be left generally ‘clean, tidy and safe’ but because of the very nature of the works including the use of chainsaws, production of wood dust / wood chippings / twigs / leaves and needles etc. and the traversing of site personnel it will not be as it was prior to commencement of works. If the works spread over multiple days, the site will be left appropriately and safe, as agreed with the client beforehand. Wildlife and Countryside Act 1981, Countryside and Rights of Way Act 2000, The Conservation of Habitats and Species (Amendment) Regulations 2012: The contractor shall take all reasonable steps to ensure the safe retention of any wildlife habitats and reserves the right to delay, postpone or cancel works accordingly and to resume works as soon as practical.